Those people who love to keep animals as pets always love to have fish in small tanks at their home because the captivating colours and designs of fish look beautiful. There are many types of fish species that people raise at their home. Among the rich variety of fish species, rosy red minnows has established its worth. This red fish look fascinating while moving around in a water tank or aquarium at home and people always try to protect rosy red minnows from any outside factors like temperature that could cause their death. Breeding rosy red minnows is something exciting and many people try it for increasing the number of this beautiful fish at home. The excitement grows bigger when you observe hatch-lings as they reproduce generations and generations of rosy red minnows. However, you have to take care of many things in order to make the breeding process smooth and productive. By doing certain things, you will get surprised with the rapidly increasing number of rosy red minnows as a female fish can lay 300 to 700 eggs in one spawning. 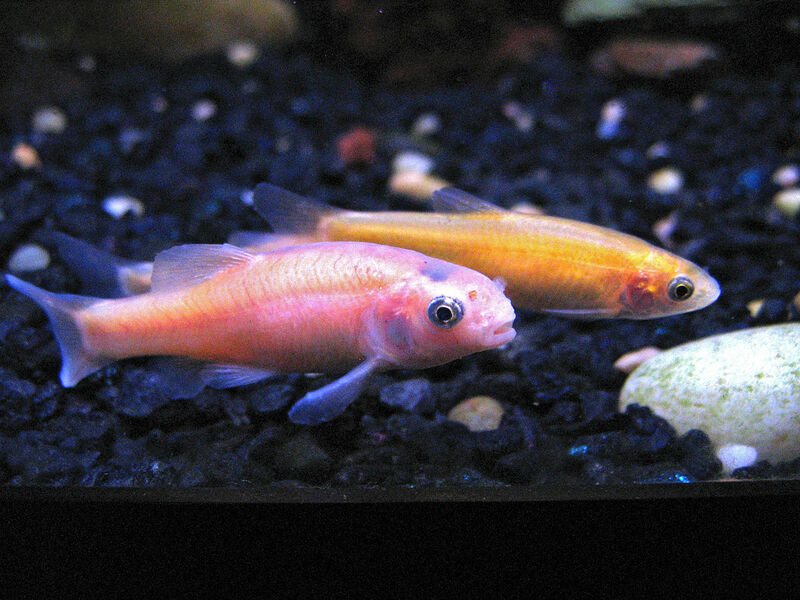 If you want to breed rosy red minnows at your home tank then continue reading this post which will let you know the how to do it in the most product manner. First of all, you should buy or build two tanks and each should have a capacity of at least 10-gallon water. One tank will be used for adults and the other one for the fry or younger fish. If you want to breed more fish, then you can also set up bigger tanks. Temperature is an important thing for an effective breeding of rosy red minnows and you should provide 70 to 74 degrees Fahrenheit. Also make sure that you keep light on the tanks for almost 14 to 16 hours every day. You should also adjust clay pots or rocks that could provide rosy red minnows a cave like space where they will lay eggs. You should also add live and gravel plants to make your fish more comfortable. Try to put three or four females and one male fish in one pound which is the best ratio for breeding rosy red minnows. You can also put single pair which will also work well. However, try to keep the quantity reasonable otherwise overpopulation will disturb the breeding process. Be patient and wait for a few weeks, which is enough time for your rosy red minnows to start spawning. Remove the clay pots and other rocks when rosy red minnows are done with laying eggs. After five or six days, eggs will hatch and you will see the young rosy red minnows. You can move then in one or two days to the other tank. You should also provide them appropriate food including crushed fish flakes and infusoria and also change 20 percent water on a daily basis.